Soho, Soho, Soho. Is there any food scene in London with the density and diversity of Soho? A place where one minute you're queuing around the block for bao, then the next you're biting into burgers and ripping into pizza slices - all on the same street as Michelin starred restaurants. And with so many great restaurants around every corner, you'll never be short of lunch options in Soho. So next time you're hungry at work, here's the places you need to go for the best lunch in Soho. And as a bonus, you can even skip the queues and order some of these Soho restaurants straight to your office with City Pantry. If you need some Japanese-Hawaiian fusion to perk up lunch break, Ahi Poké is a name worth knowing in Soho. 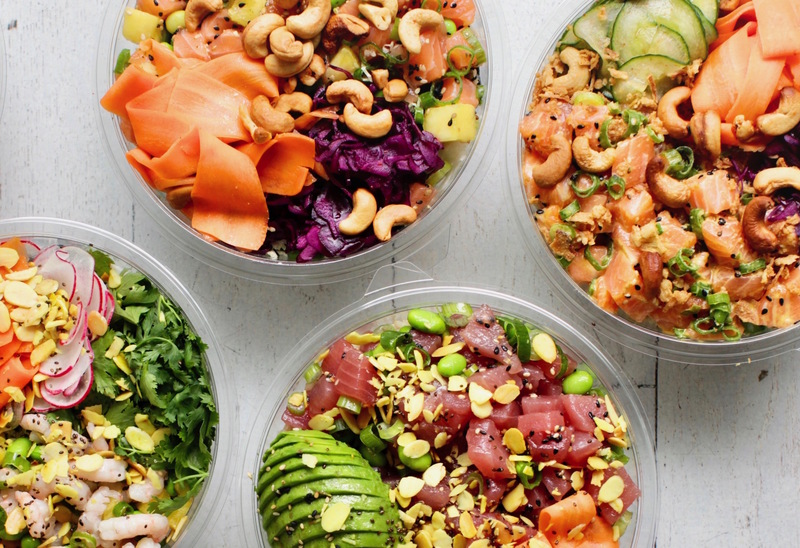 Well-priced, premium poké bowls that are made fresh to order, Ahi Poké might just be one of the top healthy lunches in Soho. And if you're in a rush on your lunch break? Get the Heat Wave poké bowl, a signature dish that's not just a combination of quinoa, salmon, avocado, kimchee cucumber, and red onion, but is full proof that Ahi Poké deserve to be on our City Pantry list of the best poké bowls in London. If you've got time for a bit of queuing, Bao is a bit of a Soho institution when it comes to lunch. 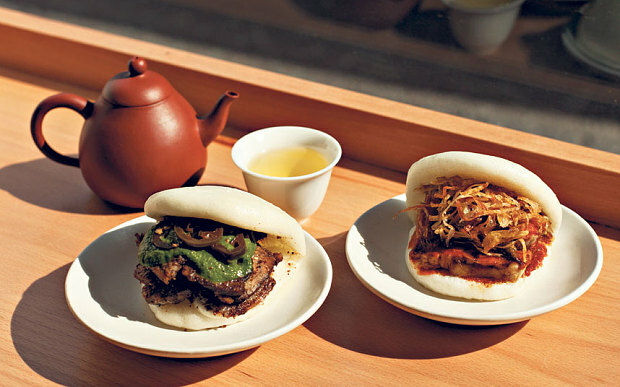 Serving the fluffiest steamed buns, each one filled with all manner of toppings like braised pork and peanut powder, you can get each bun from Bao for just £3.75. So if you're looking for a cheap lunch in Soho that's had rave reviews from critics all over the city, look no further than Bao on your next lunch break. A place well-known for its Italian community roots, you're never far from a great pizza for lunch in Soho. And the best pizza in Soho? It has to be from the Pizza Pilgrims on Dean Street. The dough here is slow-proved for 28 hours then cooked hot and fast so you can be tucking into your pizza less than a minute after you order. 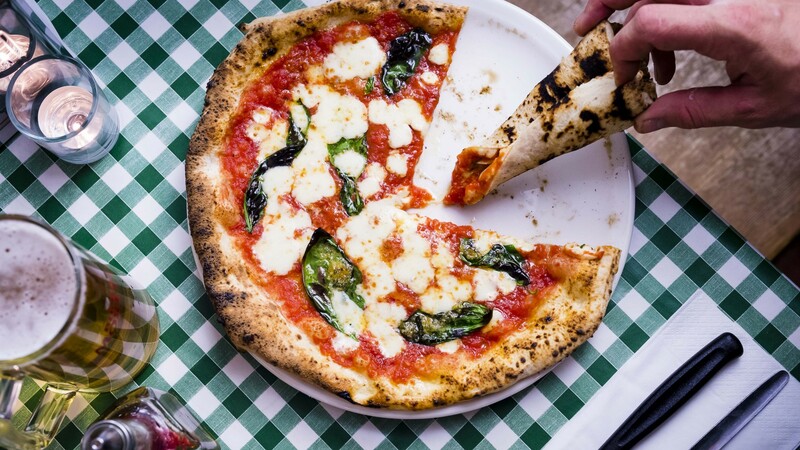 Known for the Neapolitan style pizza, and delivering a short menu with big crusts and even bigger flavours, it's almost like Pizza Pilgrims was made for a quick lunch in Soho. 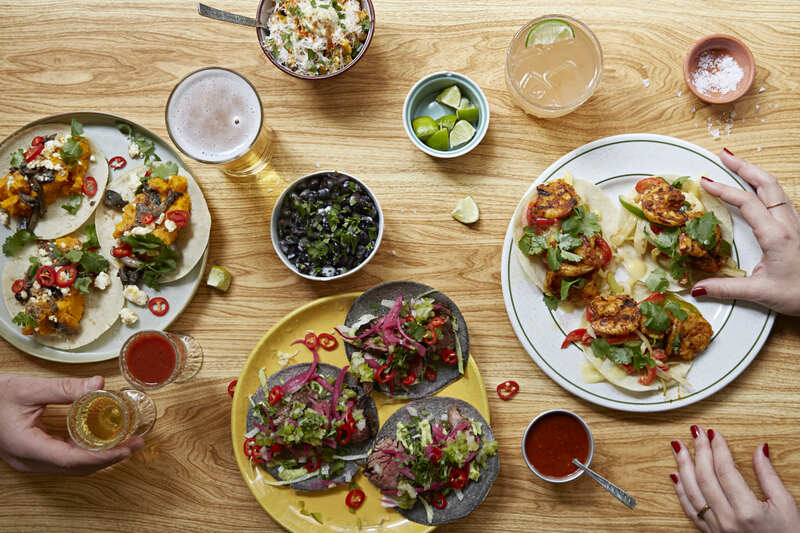 Bringing the freshest flavours and the boldest ingredients to the heart of Soho, Corazón has been making (Mexican) waves in the area straight from the word go. Tucked away just behind Oxford Street, the Corazon menu is great for lunchtime tacos and pretending you're in Mexico City for an hour. Which if you ask us, is the perfect way to spend your lunch in Soho. But if you simply can't get away from your desk for lunch? At City Pantry we'll deliver Corazon to your office for lunch instead. You're welcome. A healthy lunch in Soho isn't too hard to come by - but on those days where you need something that's the complete opposite of healthy - Patty & Bun have got you covered. 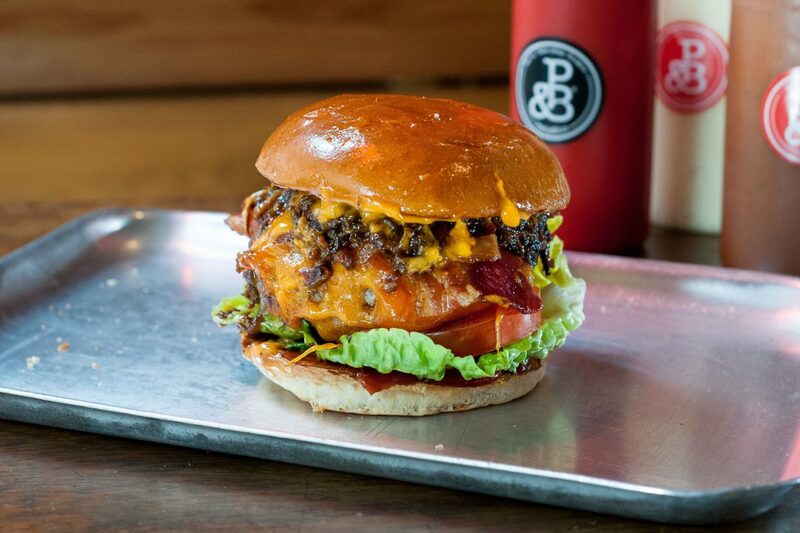 Head to Old Compton Street and you'll find Patty & Bun serving some of the most incredible burgers in London. So whether you're after a pimped-up cheeseburger, a spicy chicken burger or even a tasty vegan burger, Patty & Bun are about to make your next lunch in Soho completely delicious. And the best bit? Forget leaving the office for lunch. Let City Pantry deliver Patty & Bun straight to your Soho office instead. 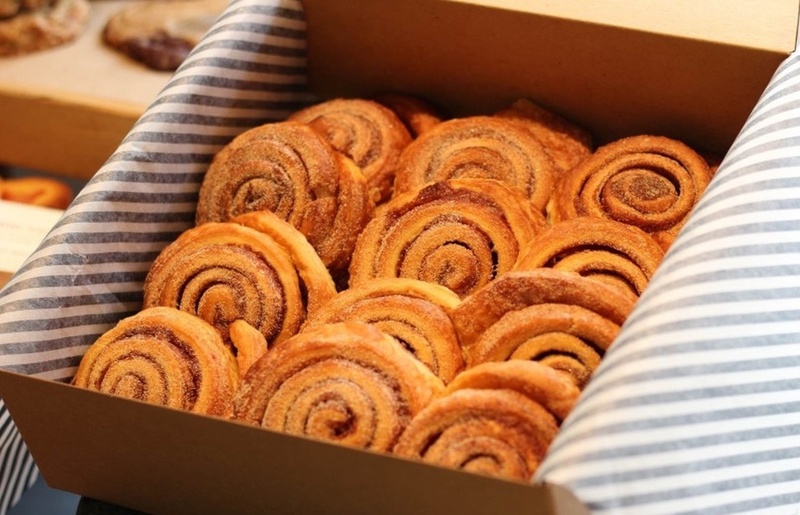 When it comes to getting a quick lunch in Soho, you can't beat picking up some pastries from Gail's Bakery. There's a reason Gail's have so many bakeries scattered all over London, and that's because they're the best at what they do. So next time you're on Wardour Street, pop in and pick up one of their incredible croissants. Their chocolate and almond croissant to be exact. The most indulgent, sweet and sticky pastry fusing the classic pain au chocolate with the moist marzipan goodness of an almond croissant. It needs to be tasted to be believed. 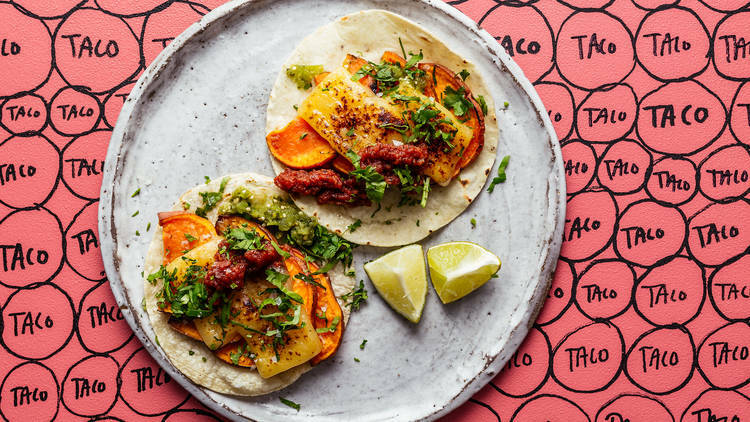 After starting out as a makeshift taco pop-up in a Hackney car park back in 2011, Breddos Tacos are now one of the best-loved restaurants in Soho. Using ingredients like kung pao pork belly and fried chicken inside corn tortillas, Breddos Tacos isn't exactly authentic Mexican food in London, but that doesn't mean it's not delicious. Unfortunately you can't book a table at Breddos, so turn up early to beat the lunchtime rush. 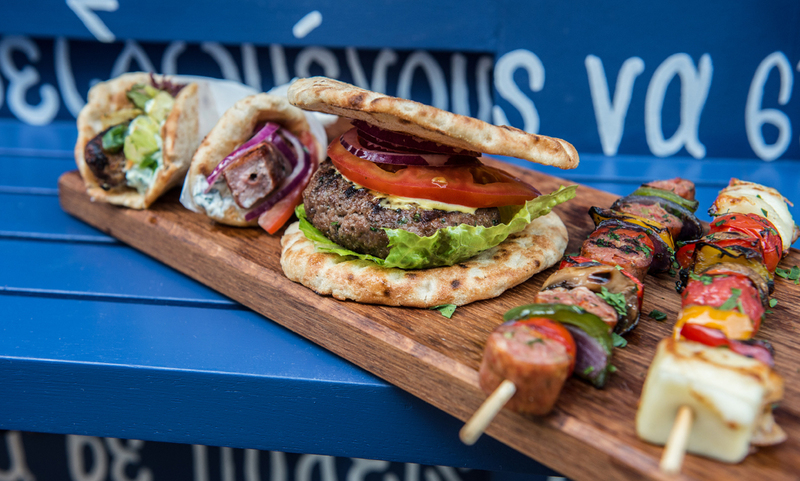 One of our favourite lunch spots in Soho, Suvlaki are named after Greece's most popular street food - a soft flatbread stuffed with tender meats, zesty sauces and fries - which they feed to the hungry Soho masses every single day. And the best bit? You can forget about braving the lunch rush to get a taste of this suvlaki. That's because City Pantry deliver Suvlaki straight to your Soho office instead. Sorted. Getting a kebab for your lunch in Soho might sound like a cry for help, but Le Bab do kebabs a little differently. 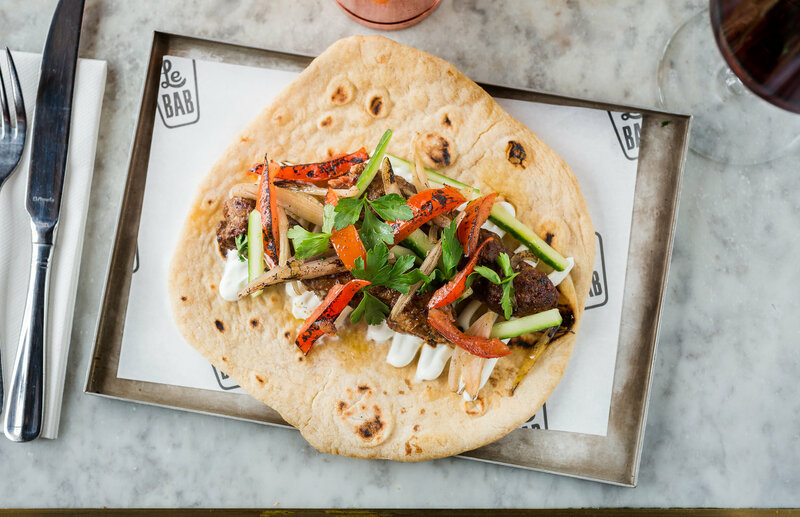 Instead of guilt-inducing takeaway style kebabs, Le Bab serve a short menu of fresh flatbreads filled with pork shawarma, lamb or falafel. And the best bit? Everything at Le Bab is under a tenner, and it's really quite delicious. Making this one of the best casual and cost-effective lunches in the whole of Soho. Want to bring the best lunches in Soho straight to your office? At City Pantry, we want to swap office food for good food. That means we deliver some of the best Soho restaurants and beyond to your workplace. And all for the same price as going direct. So if you're ready to do food at work the right way, take a look at the restaurants we can deliver in your area.